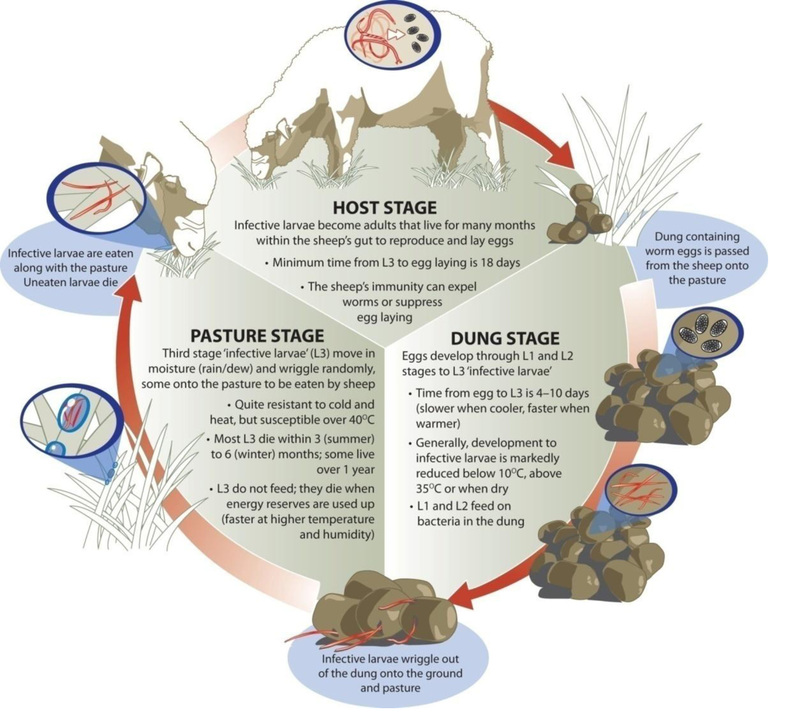 The availability of infective larvae of the winter scour worms on pasture, showing a peak around June–August (depending upon the timing of the autumn break). Source: The epidemiology and control of gastrointestinal parasites of sheep in Australia. Edited by A.D. Donald, W.H Southcott and J.K. Dineen, Division of Animal Health, CSIRO 1978.